It's simpler than you think ! 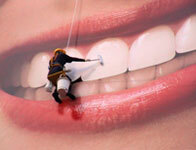 Who wouldn't want a wonderful, youthful smile? 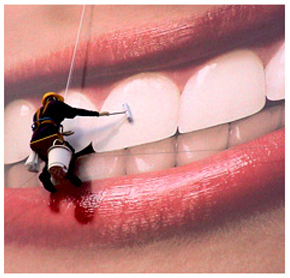 Teeth whitening can enhance your smile by gently lifting the natural tones of your teeth. The result? A brighter and more youthful appearance. No matter what age, almost everyone can benefit. It works, it's simple, it looks great! Give yourself something to smile about. Ask about our Teeth Whitening Programme today. We use the Optident Whitening System for home use which is designed to be worn for between four and eight hours per application. The gel is applied to the teeth by wearing slim teeth guards. Most people prefer to wear these at night whilst asleep; however you can also wear them during the day. The process is very successful and predictable, though the number of applications varies from one individual to another. You can control the final outcome and progress at a rate that suits you. Are there other alternatives for whitening my smile? Not everyone is a candidate for whitening. Bleaching is not recommended if you have tooth-coloured fillings, crowns, caps or bonding in your front teeth - the bleach will not change the colour of these materials, making them stand out in your newly whitened smile. In these cases, you may want to investigate other options, like veneers or laminates and crowns.